Set of 4 Laceration Heavy lures. Each is rigged with 8ft 300lb Momoi leaders and a double hook shackle rig. 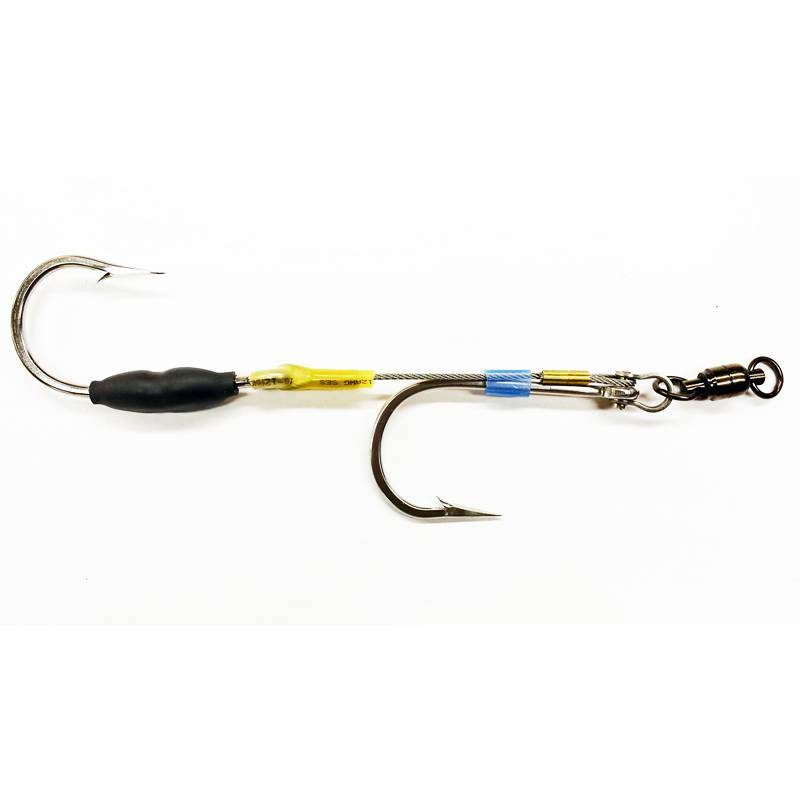 The front hook is a Mustad 7732 and the rear hook is a Mustad 7691. These lures are designed to troll with 50 to 80lb tackle and the large one can be trolled as a Teaser by just removing the shackle rig.